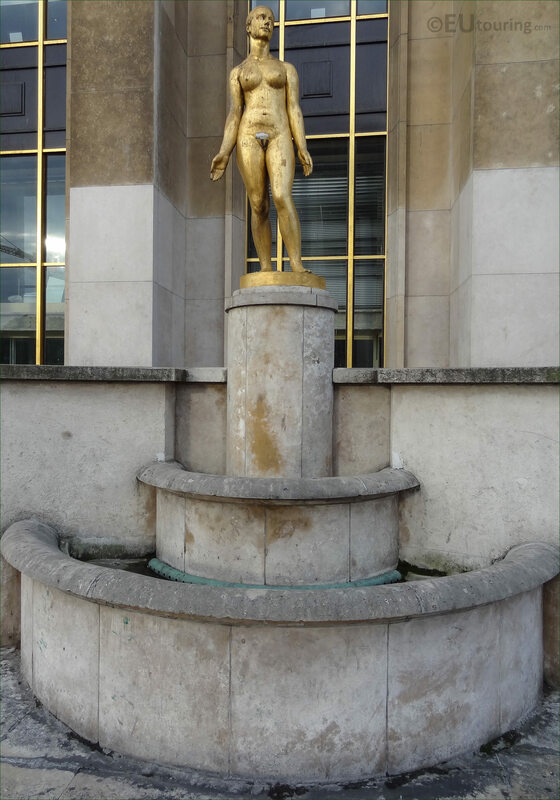 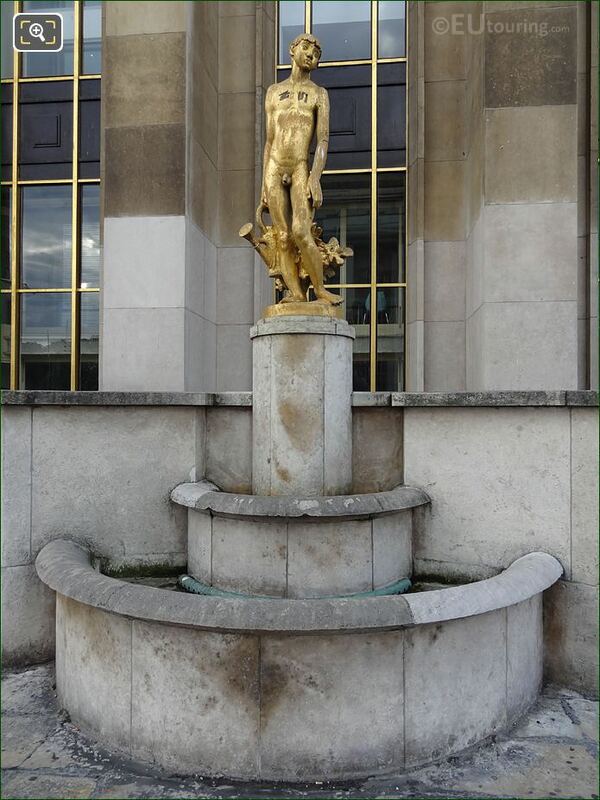 The Jardins du Trocadero in the 16th Arrondissement of Paris encompasses the Palais de Chaillot, which was constructed for the 1937 World Fair, and has become recognised for its golden statues on either side of the esplanade with its great views. 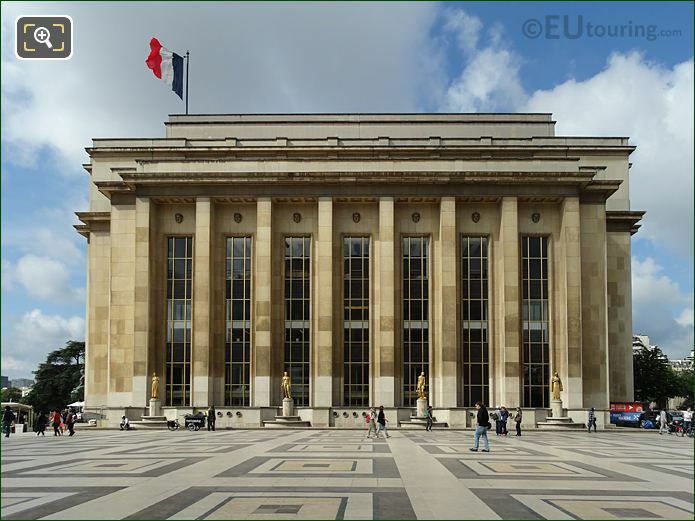 This first HD photo shows the side of the north easterly facade of the Palais de Chaillot and the square in front of this, which is known as the Esplanade du Trocadero, where you can get an elevated view over the Trocadero Gardens towards the historical landmark of the Eiffel Tower. 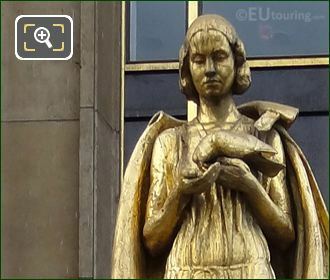 Located by the north East facade of the Palais du Chaillot you can discover four of the eight golden statues, which are gilded bronze, and in this close up photograph you can see one of these with a female figure holding a bird that is called Les Oiseaux, and this was inaugurated at the same time as the palace and the Jardins du Trocadero in 1937. 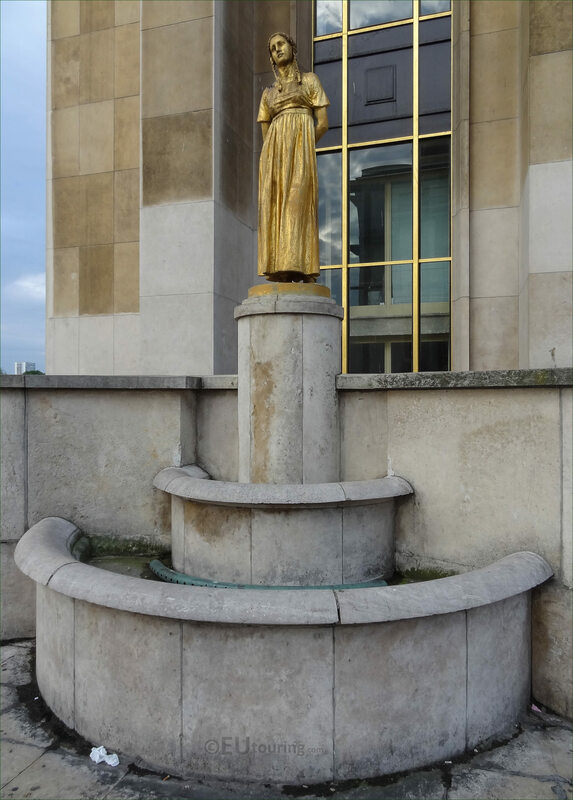 Positioned on pedestals in front of windows that are between the columns on the side of each wing, here is another one of the golden statues on the Palais de Chaillot called Le Jardinier, which was designed to replace the former Palais du Trocadero that had been constructed for a previous World Fair back in the 1800s. 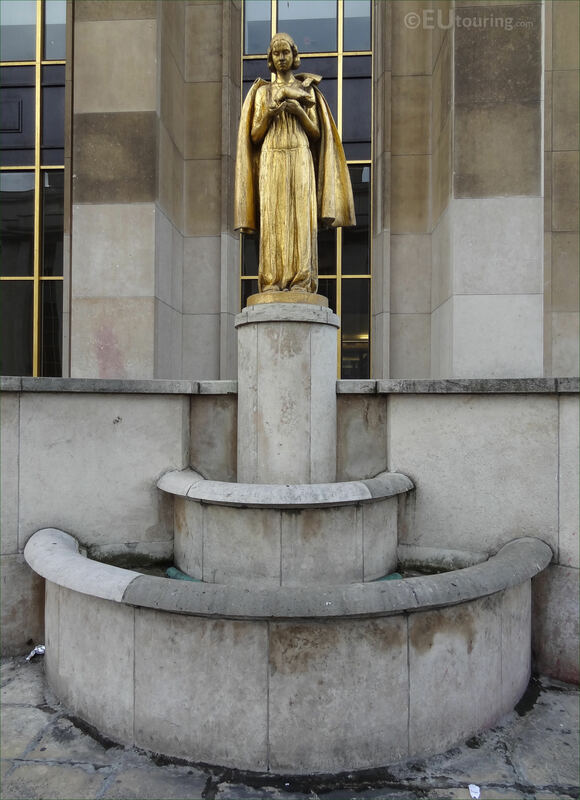 There were many different sculptors of the time that were commissioned to produce statues for the palace and the Trocadero Gardens, and these eight golden statues were each produced by a different artist, with four on each wing, and if you are looking at the Eiffel Tower from the square in front, this one would be to the right hand side. 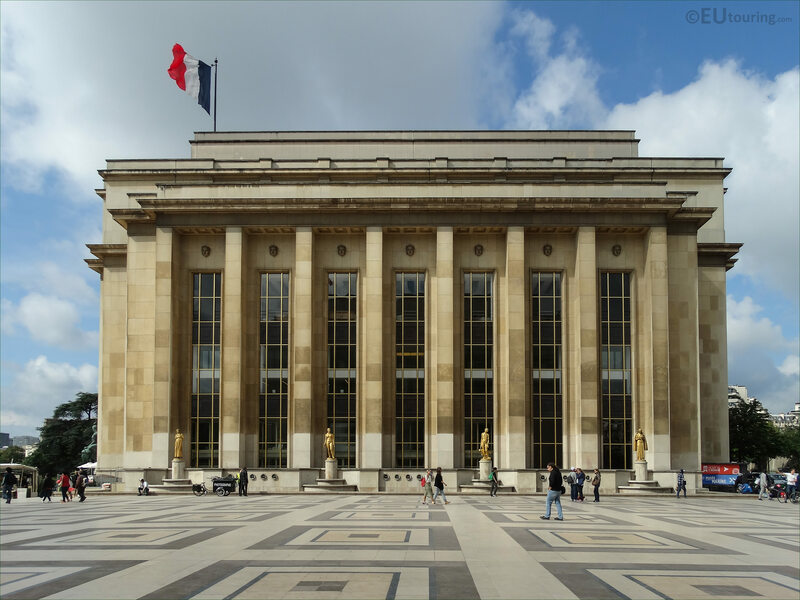 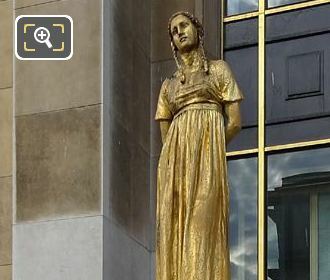 You will find that the square in between the two wings where the gilded bronze statues are positioned is known by different names including the Esplanade du Trocadero, yet it was officially renamed the Esplanade des droits de l'homme, which in English translates to the Esplanade of Rights of Man, in other words, the Terrace of Human Rights. 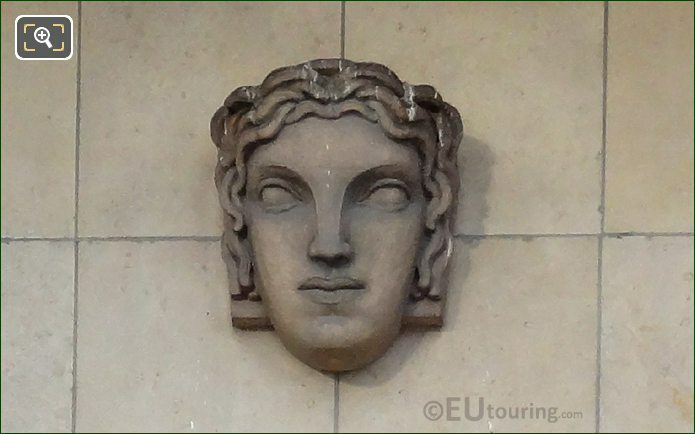 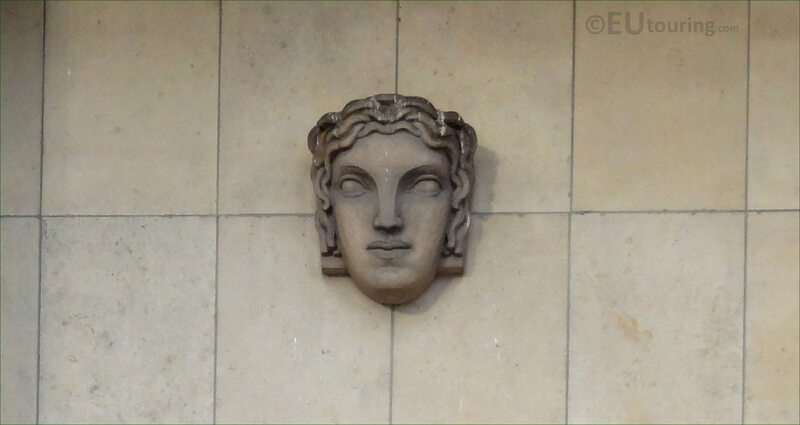 Yet also on the both facades of the Palais de Chaillot that face each other, you will find different mascarons, which are a type of sculpted face, and in this image you can see a close up of one positioned high above the statues and the windows, in between the columns on the north easterly facade of the Palais de Chaillot within the Trocadero Gardens.